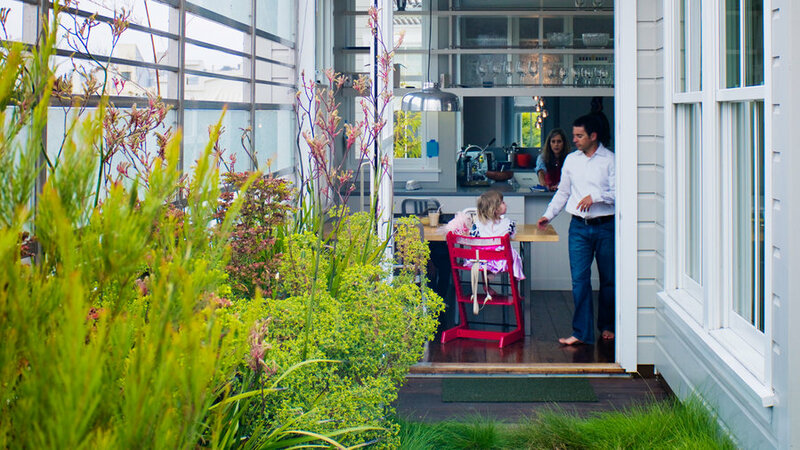 For many couples with children, the desire for a spacious backyard forces them to leave the city. Not so for San Franciscans Reed and Jennifer Gosselin. 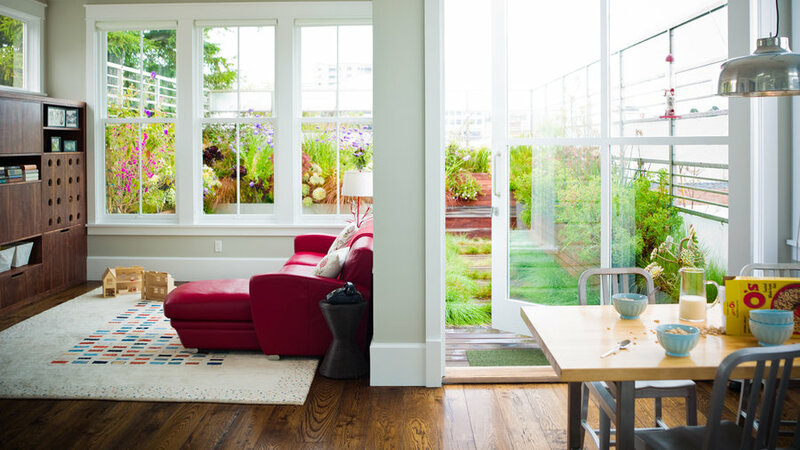 Architect pal helped them replace part of their Victorian’s top floor with a green space, opening up the interior to light, views, and family-friendly flow. Plus "it's a super-eco project," says Feldman, pointing out the reused cabinets and flooring, the solar photovoltaic array, and radiant floor heating. Cramped rooms on the house's third floor, including this eating area, were removed to make way for open living spaces and garden. “It’s sometimes hard to see the potential, but the house has exceeded our expectations,” says Reed. Now new windows and a glazed pivot door open up the family room and eating area. The roof's tall railing has frosted glass panels to protect privacy and open sections to frame city views. 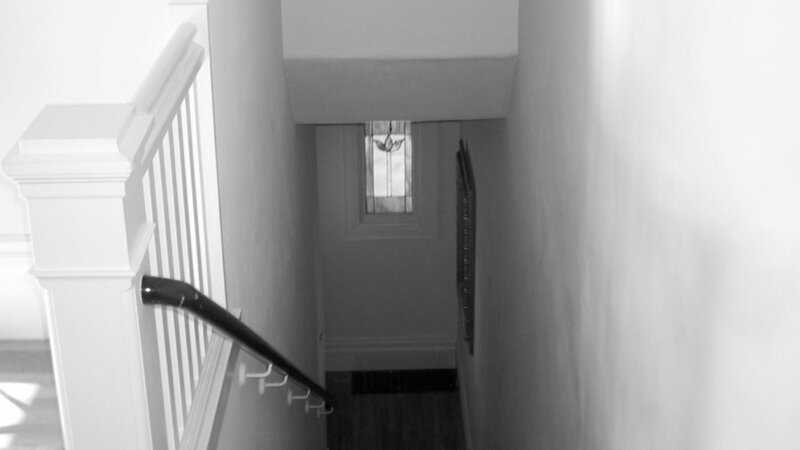 Typical of Victorian-era townhouses, the original stairwell was dark and confining. 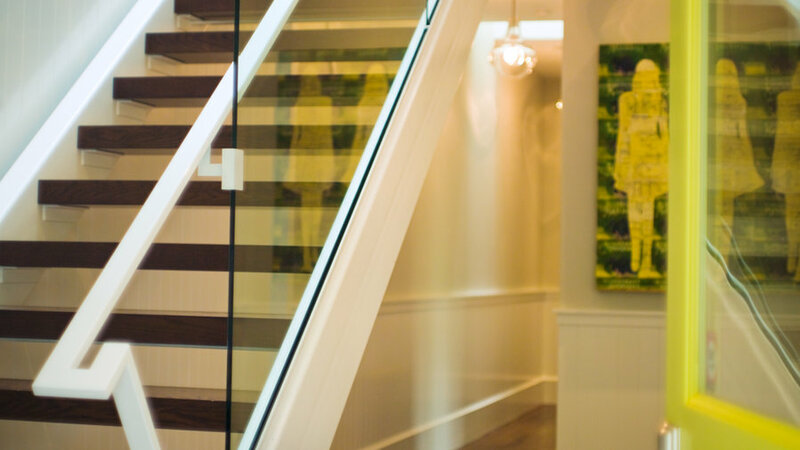 Now, the Gosselins enjoy a more open landing and new skylights, along with open stair risers and a glass foyer wall. 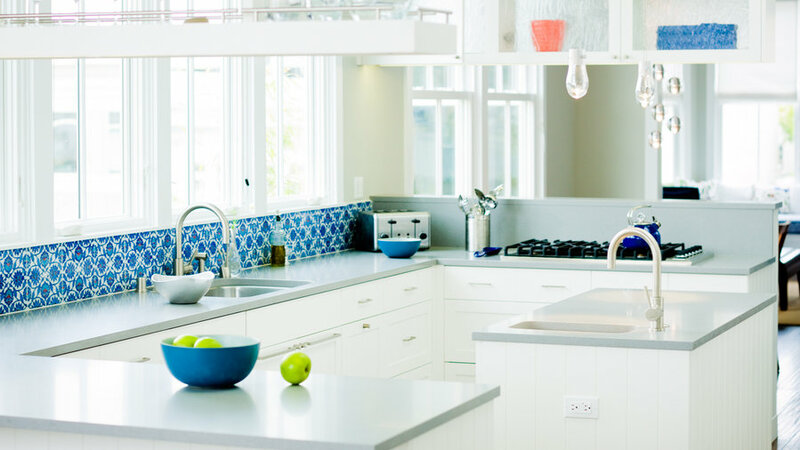 Colorful backsplash tiles contribute a mix of whimsy and history. The Iznik design () is based on 16th-century Turkish originals. The kitchen also features eco-friendly cast-stone countertops and reclaimed wood floors and cabinets. 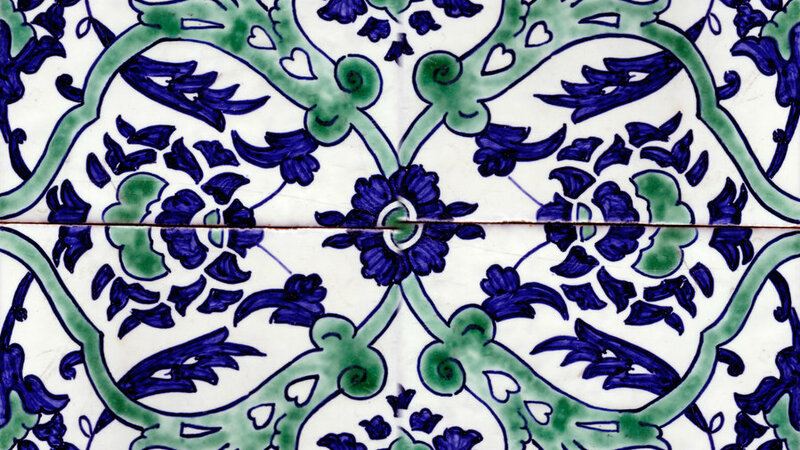 Turn to Turkish tile for colorful flair, as in this handmade piece called Constantinople ($24 each; or 305/856-3828). With the old interior walls taken away, traffic and light move easily from room to room. 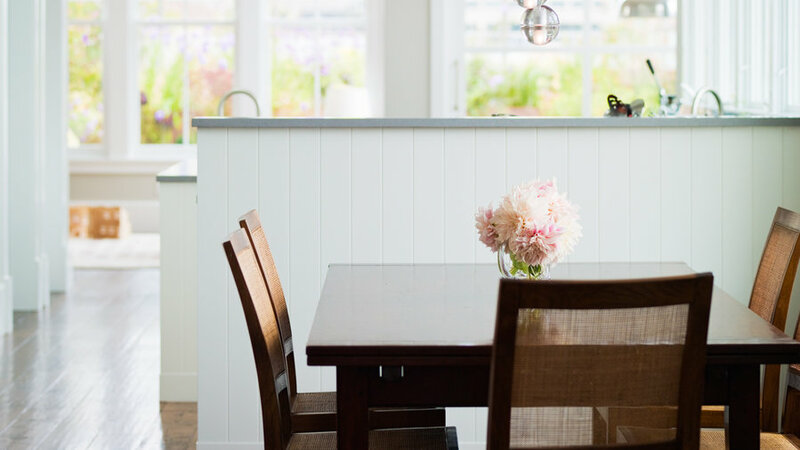 To keep things looking airy, Feldman installed overhead cabinets with textured glass doors between the kitchen and dining room; the cabinets can be accessed from either area. 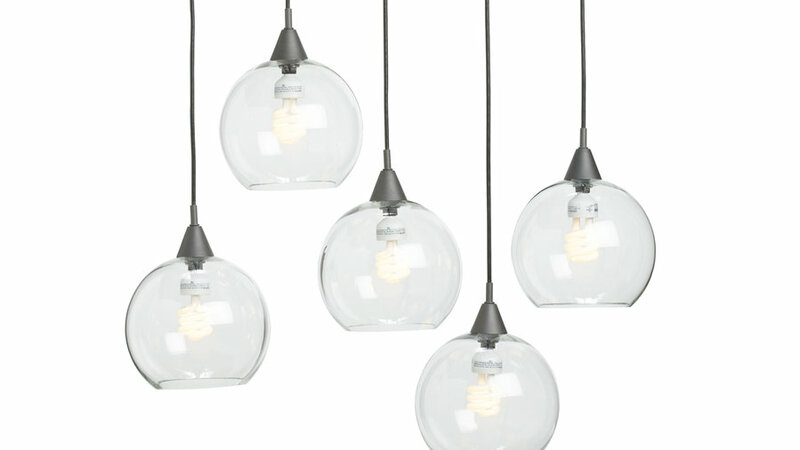 Add light without blocking the view with the multilevel Firefly pendant lamp ($199; or 800/606-6252). 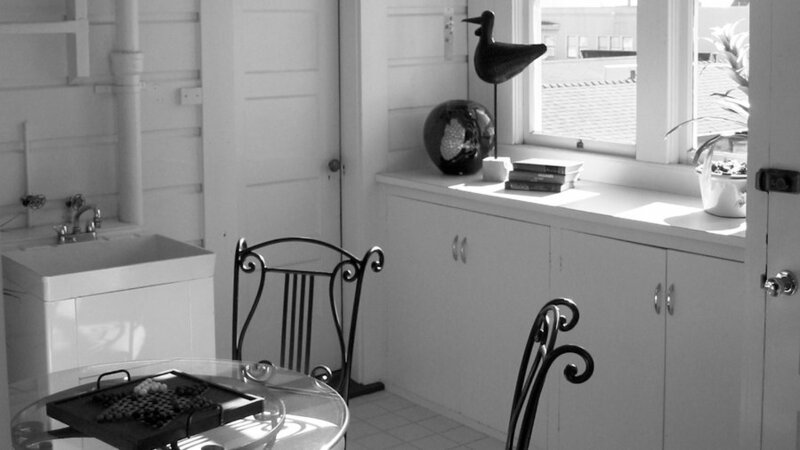 The living room, located at the front of the house, retains its original window bay. 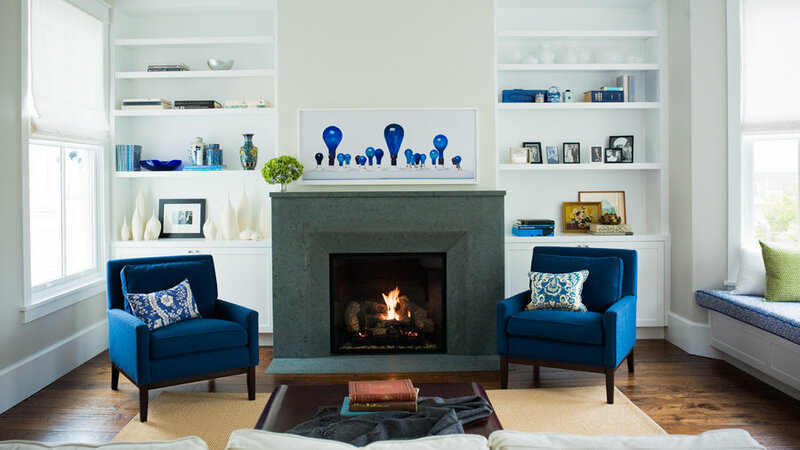 For the soothing blue furnishings and accents, interior designer Lisa Lougee (415/252-1100) drew inspiration from the nearby kitchen backsplash. Anchor a crisp navy- and-white decorating scheme with a pair of streamlined armchairs. 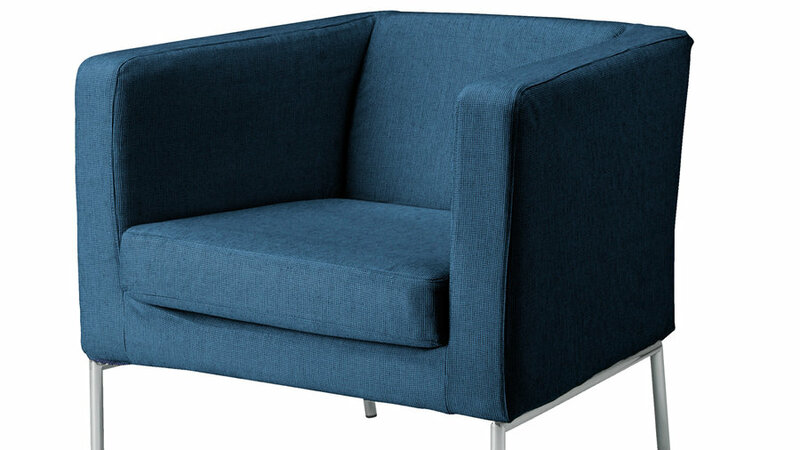 Klappsta chair with Nyarp white/Sanne blue/black cover ($199; ikea.com).